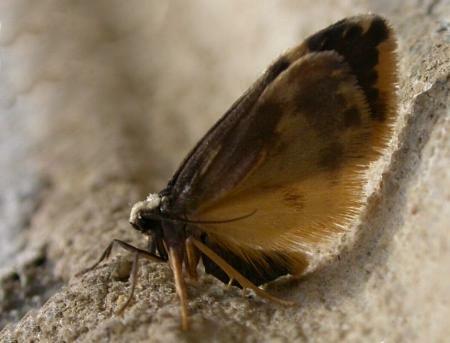 The adult male and female moths of this species look similar. 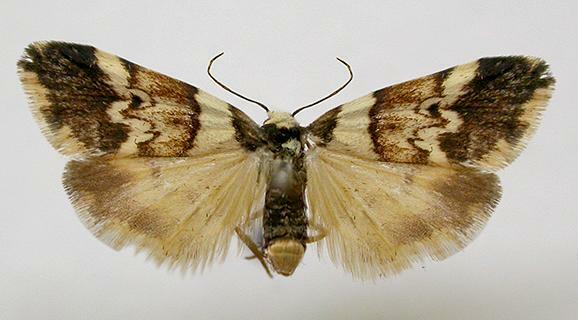 They have dark brown forewings that each have two ragged white bands. 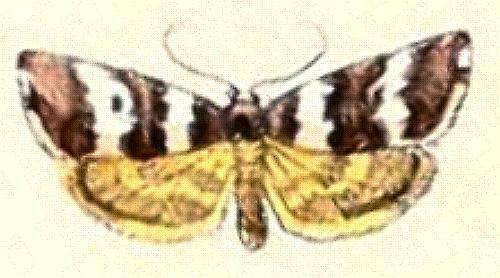 The hindwings are pale yellow, with vague brown marginal and submarginal bands. 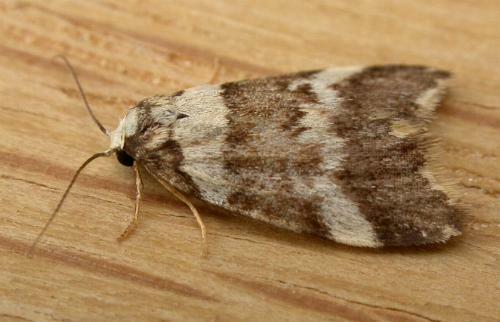 The wingspan is about 1.5 cms. The undersides are similar to the upper surfaces. Band 2, Abtheilung 2 (5) (1875), p. 16, and also Plate 140, fig. 24.